Fantasizing killing zombies to kill your time? You have come to the right place! We do know that there are a lot of zombie games for Android. The play store packs a variety of them which includes zombie action games, zombie shooting games, zombie puzzle games, zombie adventure games, and so on. Among the various best zombie games available at the Play Store, we would be listing out only the top free zombie games for Android. Also, you would find some of the free zombie games to be working offline just like the other offline games for Android while others requiring an Internet connection. Whatever be your requirement, these free zombie games for Android are going to fulfill your thirst! Previously we have shared the best stickman games for Android with stickman gaming character as well as the best stickman fighting games for stickman shooting games lovers. When it comes to games, some special characters hold an important place in the gamers heart. Thus, people recognize and characterize the games by these characters. 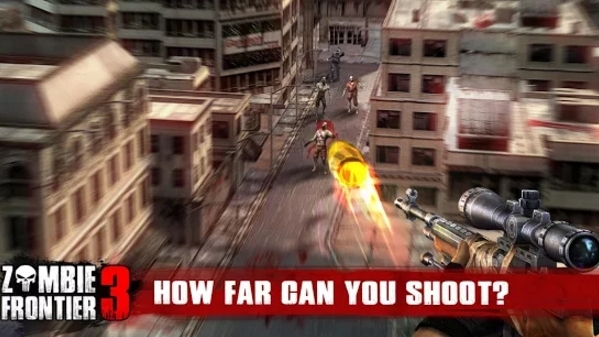 Dead Trigger stands out as one of the best action games for Android. It revolves around a zombie apocalypse. Will you be the one to kill them all? Well, you might think why we did not mention Dead Trigger. Yes, it is yet another impressive zombie game, and undoubtedly the first iteration would remain to be in the top charts as one of the free zombie games for Android. However, Dead Trigger 2 presents an amazing graphics quality resulting in the coolest gameplay experience. Also, you would observe hotshot guns which you can unlock as you progress playing the game. We do want to mention that it could turn out to be one of your best mobile games while having a Tegra 3 device. Plants vs. Zombies 2 is an exciting zombie strategy game for Android. It puts you in a situation where you have to defend your home from zombie invasion utilizing the earth’s best – nature – plants. If you have not played it earlier, you might find talking about plants and zombies boring. But, I bet, that won’t be the case after you give it a try. Unfortunately, you don’t get much of an action here, but you get to upgrade your plants with the points you earn. 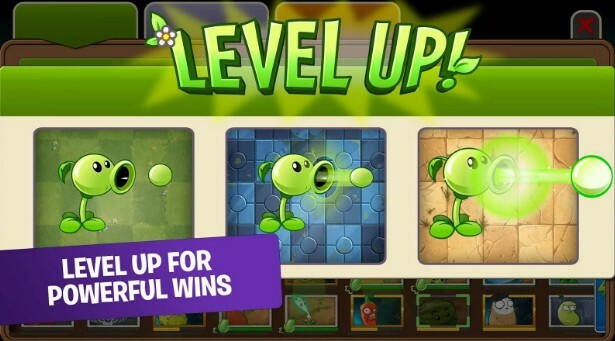 Deploy the plants with the best strategy to defend against the wave of Zombies! Want to play a free zombie game on Android with intense action? Violence is what you will go for? 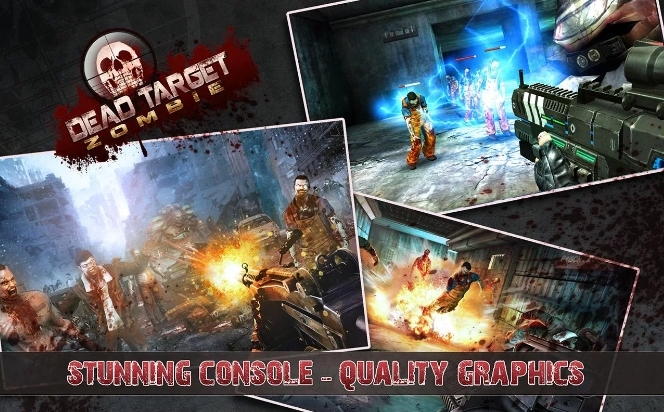 Dead Target is one of the top free zombie games for Android that you should install. The graphics quality would resemble that of Dead Trigger. But, to those who give attention to details would appreciate Dead Trigger. However, you get cooler weapons here! It is a zombie game that works both offline and online. And, you can try beating the fellow players to acquire your place in the leaderboards. Are you up for that? 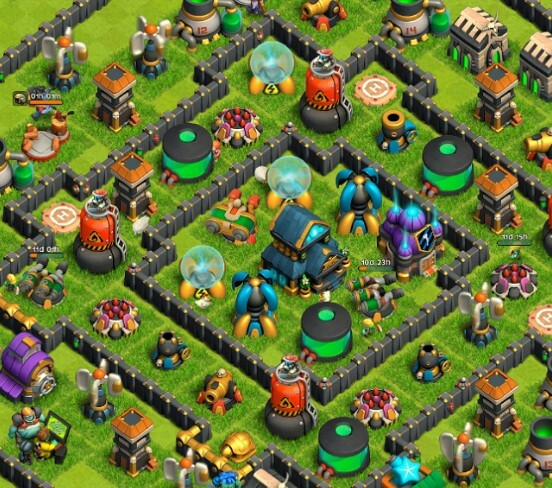 If you are an Android gamer, you must be knowing about Clash of Clans, if not experienced. Battle Of Zombies brings the same concept but with a different theme, i.e., Zombies. It is a free zombie game for Android that works almost the same way as COC, but you should not expect a similar gameplay experience. You will have to join clans to help grow. If you keep on upgrading your town hall, you’ll automatically unlock an enormous potential for upgrades. You would surely find a couple of funny characters inside the game. Let us give it a try, should we? 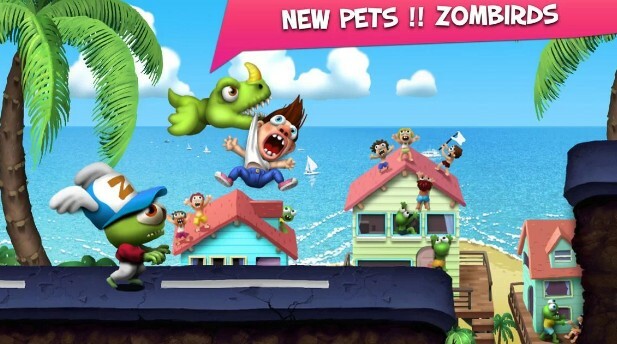 Zombie Tsunami is another free zombie game for Android with great zombie killing experience. It presents an exciting gameplay which involves Zombies. Unlike other free zombie games, you do not have to kill the Zombies here. Instead, you will get the opportunity to attack the city with a horde of Zombies. Turn every pedestrian you encounter into Zombies and form the largest horde of Zombies. Also, you get the golden chance to kill your friends and challenge them for a crazy race. The fun doesn’t end here. It also offers you several sets in the world to travel and storm the cities. You also get to upgrade the abilities as you keep progressing in the game. Last Empire War Z is a zombie strategy game for Android. It offers a great gameplay and a similar concept to Clash of Clans. 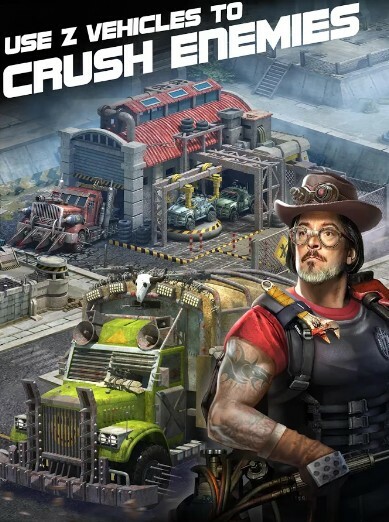 Unlike COC, you will observe a different way base with high-tech gears and armies. You can connect globally to build an empire so solid that it can’t be defeated. The user experience could seem better than Clash of Clans for First Person Shooter game lovers. Of course, it deals with Zombies. You need to kill them all utilizing a strategy! 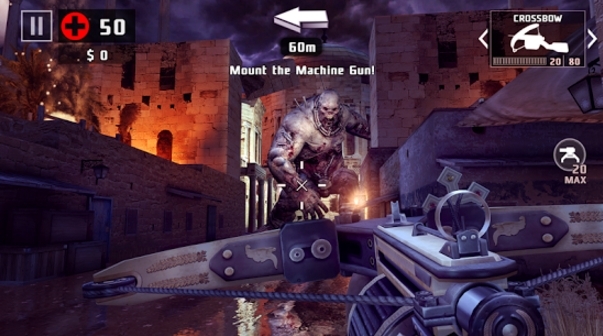 Into The Dead is a very popular zombie game title from the early days of Android gaming. The developers are putting a great effort to preserve the game’s experience. It is a mixture of action and horror which could give you a thrilling experience. Into The Dead offers a fantastic gameplay along with perfect tailored sound effects which give you chills! Into The Dead being one of the top free zombie games for Android is yet another impressive, endless zombie games available at the Play Store. You have to run for your life! Tackle the zombies, and you might end up free (that’s not going to happen!). Zombie Age 2 is a sweet zombie game for Android with amazing zombie killing experience. You have waited for enough to kill the wave of Zombies attacking your house; it is time to head out and collect ammo available on your way while killing Zombies to make your way. 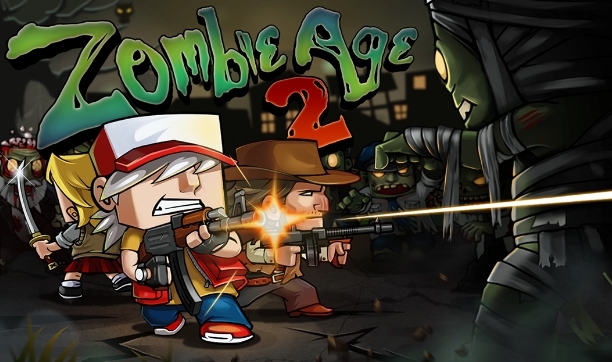 Zombie Age 2 features a great gameplay without offering high-end graphics quality. If you need help, you can simply request your friend to fight for you! In addition to the amazing zombie killing experience, it also lets you climb the leaderboard to show the world what you are made of! Ready for it? Let’s have some action! Zombie Frontier is yet another free zombie game for Android that will help kill your time! It offers a great visual experience along with perfect sound effects to compliment the concept. A damn popular zombie gaming title with a simple goal. Kill all the zombies and keep upgrading your weapons to put an end to the Zombies. Upgrading your weapons scales the game up for the next level of gaming experience while looking for the best free zombie games for Android devices. So, we’ve laid down the list of top free zombie games for Android. What do you have in mind? Will you be going for an action-packed zombie experience with games like – Dead Trigger, Dead Target, or spend time with the best zombie strategy games like Plants vs. Zombies 2, Battle of Zombies, and Last Empire. If you are looking for a mixed experience or a scary gameplay experience, then the zombie games like Into The Dead, Zombie Frontier, Zombie Age 2, and Zombie Tsunami would help. 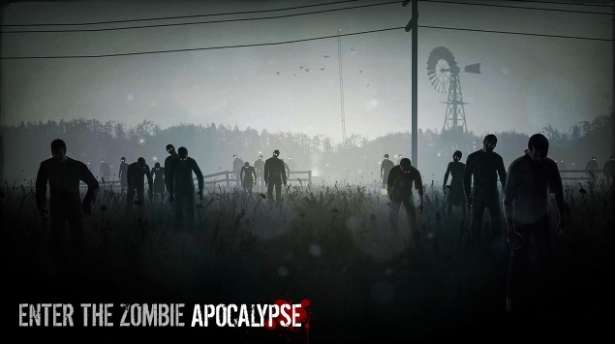 What do you prefer while choosing a zombie game for Android? Action? Strategy? Thrill? Let us know your thoughts in the comments section. Previous: How to Fix “the application was unable to start correctly 0xc000007b” Error?